No Food for Five Months? No Food for Five Months? 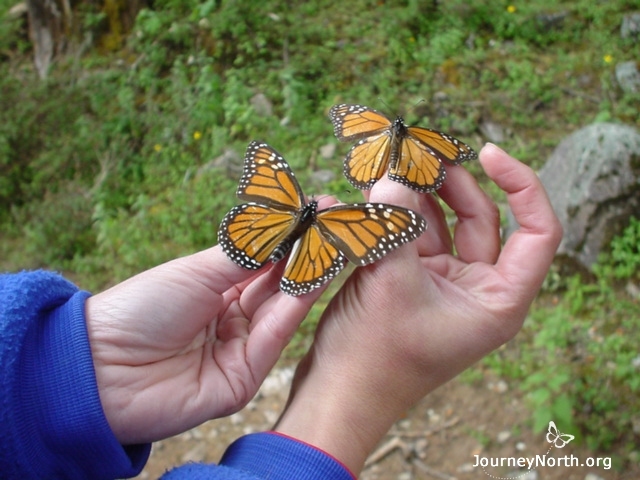 Monarch butterflies arrive in Mexico in November and stay until March. Scientists say they can survive all winter with little or no food at all. How is this possible? 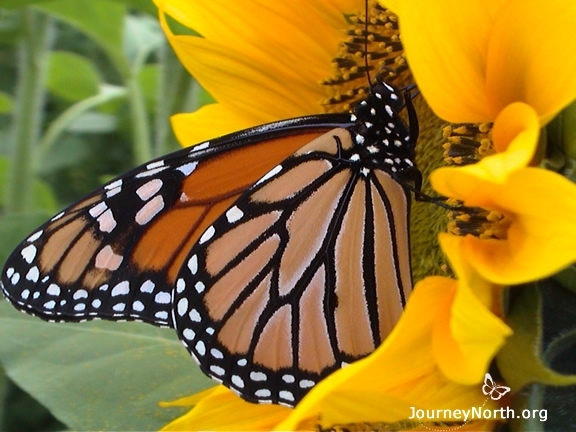 Let's explore where monarchs get the energy they need to survive. Fat is Fit When butterflies arrive in Mexico, some are fat and others are thin. Look at each butterfly's abdomen, where its fat is stored. Which do you think is more likely to survive the winter? Running out of fat is a concern. Monarchs must survive on the food they ate before they went to Mexico. Voracious Eating as a Caterpillar When a monarch caterpillar eats milkweed, some food energy is stored as fat. 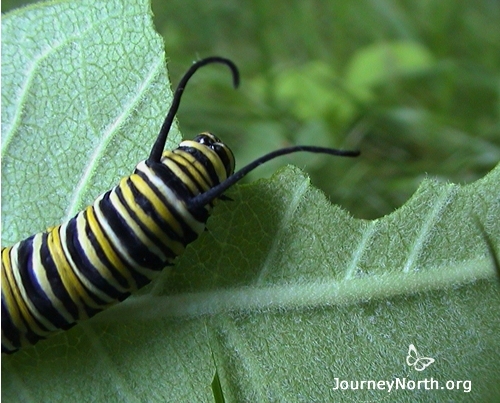 A monarch caterpillar that finds plenty of milkweed becomes a big, healthy butterfly with a reserve of fat. This fat reserve will help a monarch survive the winter. 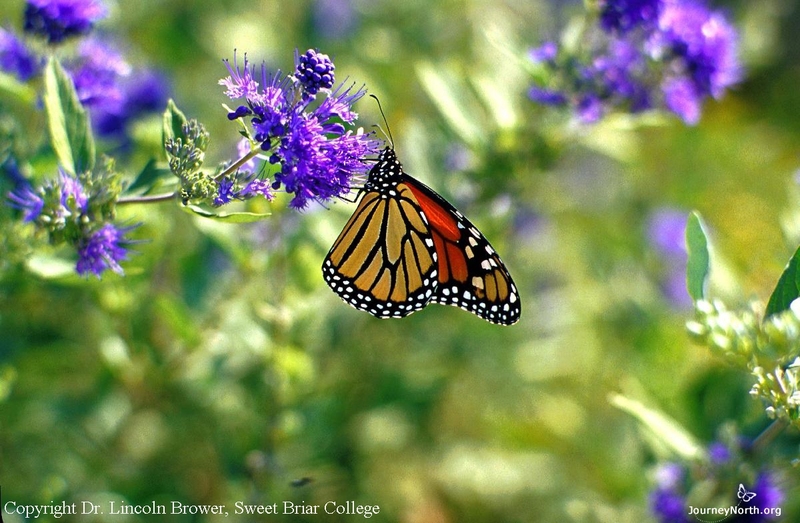 Voracious Eating as an Adult Adult monarch butterflies drink nectar from flowers. Extra food energy is stored as fat in the monarch's abdomen. Monarchs eat hungrily in the fall before—and during—their migration. How do Cool Temperatures Help? 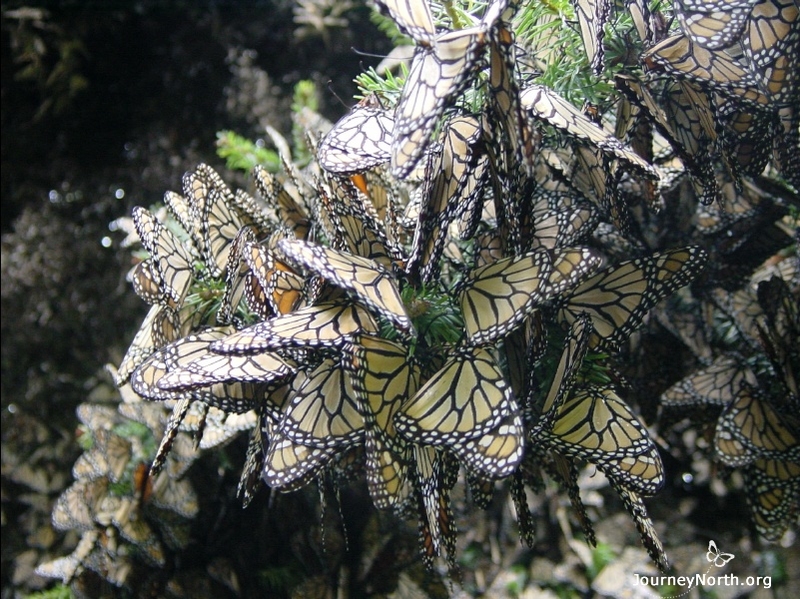 The secret behind the monarch's survival without food is the cool habitat it chooses in Mexico. "Cool temperatures in the forest slow down the monarchs' metabolism so they can stay alive longer," says Dr. Karen Oberhauser. 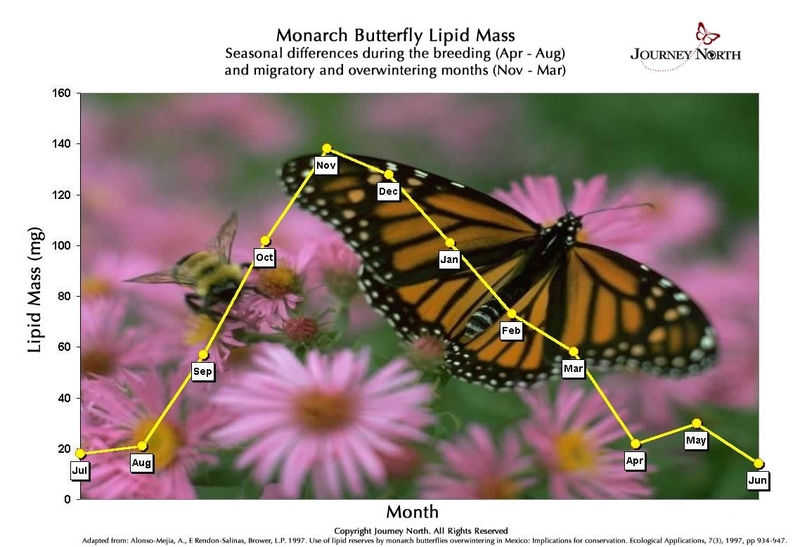 Fat Reserves Month-by-Month This graph shows how much fat (lipid mass) the typical monarch has in each month of the year. 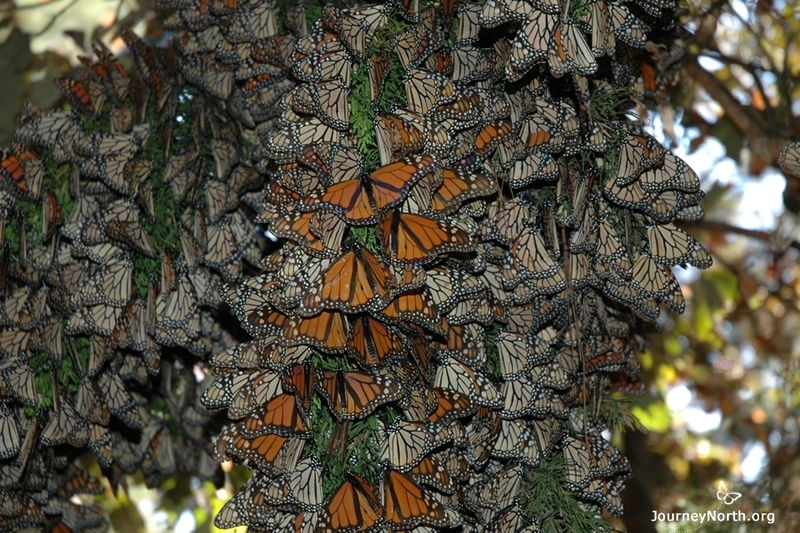 Look how fat reserves change during the five months the monarchs are in Mexico. 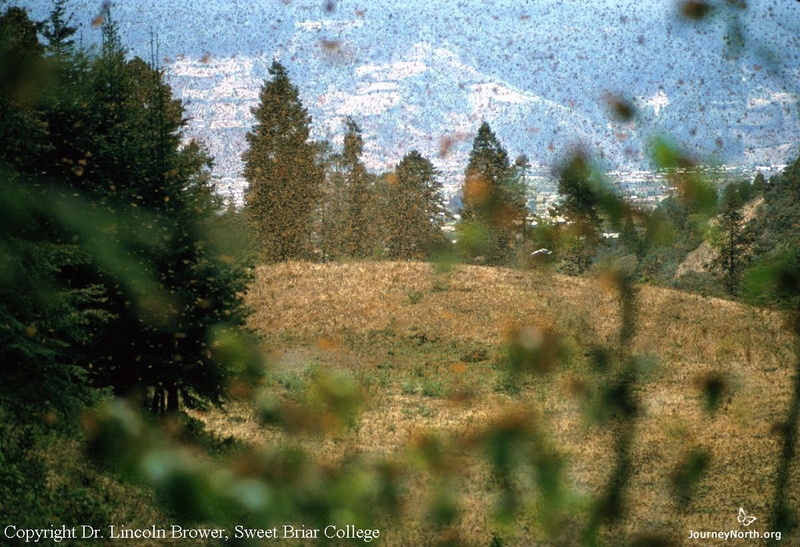 So Many Butterflies, So Few Flowers There can be 50 million monarchs sharing a single hectare. Imagine how many flowers the monarchs would need. "There are some flowers near the colonies, but nowhere near enough for all of the butterflies," says Dr. Oberhauser. This is why stored fat is essential to survival. What About Water? Monarchs do need water to survive the winter. 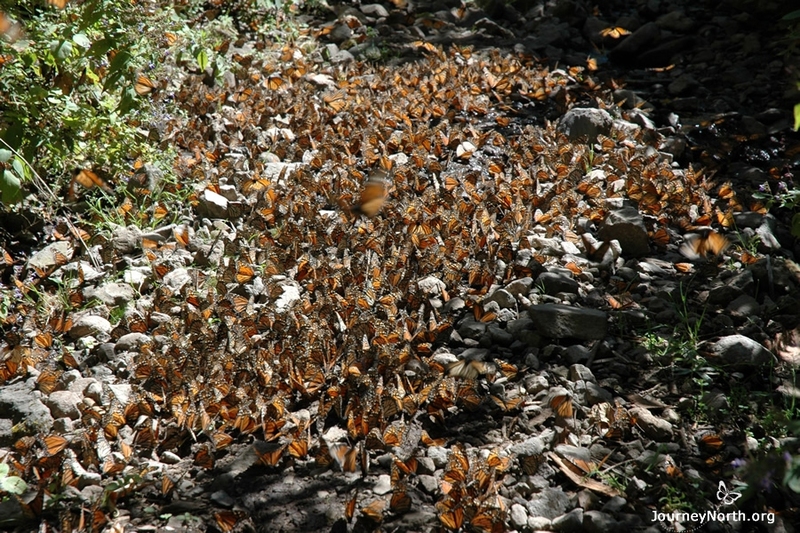 On warm days, the butterflies fly out of the colonies by the millions to drink. At first, scientists didn't realize water was so important. Now they know that protecting the watershed of the forest is an important conservation need. The Habitat Connection In order to survive the winter, monarchs must obtain energy from milkweed and flowers before they reach Mexico. Next they need the cool temperatures of the Mexican forest to conserve energy. Monarchs need high quality habitat in both places for winter survival. 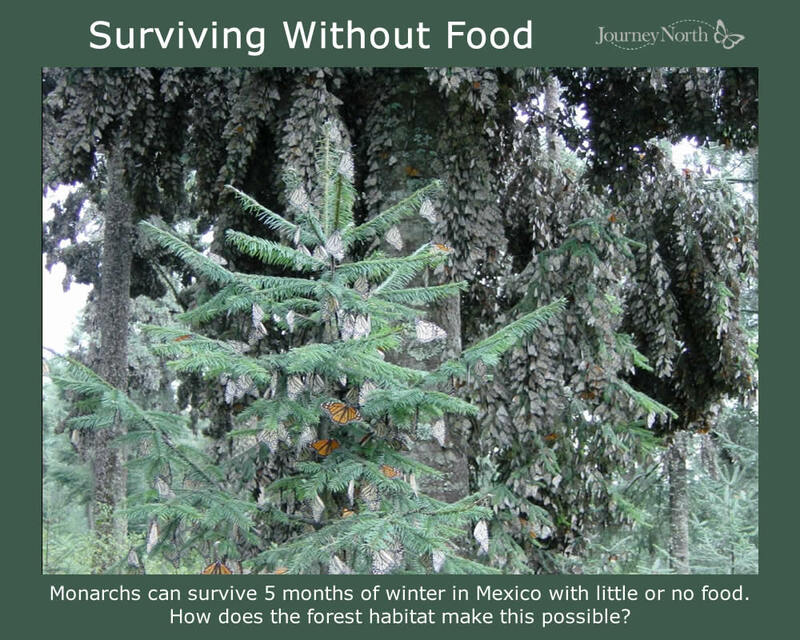 Monarchs can survive 5 months of winter in Mexico with little or no food. How does the forest habitat make this possible?